I have always planted Begonias in my garden. They are a hearty plant that produces lots of flowers. What’s not to love, right? This year was different though. 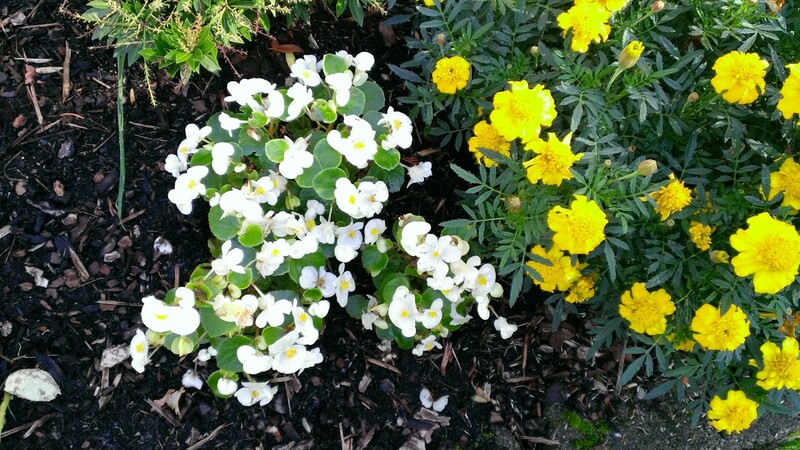 I planted white Begonias in the same flower beds as the Marigolds I raved about this year as rock stars. Even as the Marigolds grew to crazy proportions, the Begonias did nothing. I mean nothing. They didn’t grow a bit. This left me wondering why. I am a creature of habit. The flowers that do very well for me, I plant year after year. I love that predictability of flowering success. I love flowers and I want lots of them. While I do test out new varieties of flowers every year, I make sure to have plenty of my tried and true favorites. Begonias has always been one of those favorites. PS. While the white Begonias were late bloomers but the red ones in the black pot bloomed beautifully all summer as they should have. 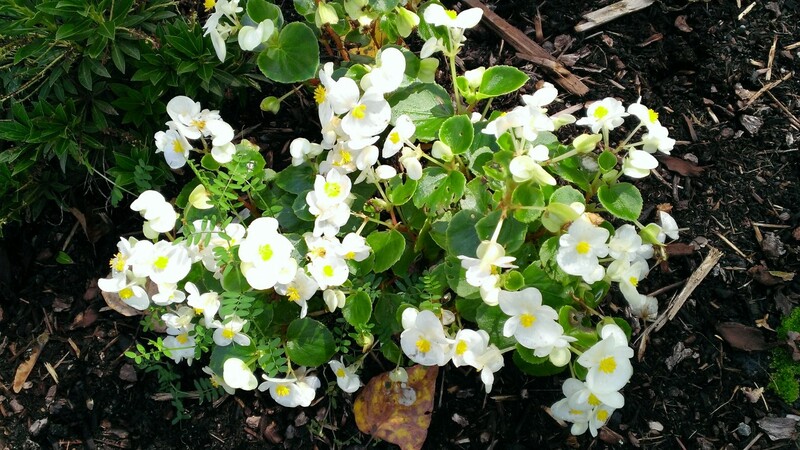 Gallery | This entry was posted in Gardening and tagged Begonias, Flowers, White. Bookmark the permalink.